Use videos to propel your business to great heights of success! Using videos is a one of the easy ways of getting more traffic. Videos can help you explain your web product easily and effectively. Video designing for YouTube has gained tremendous popularity for these reasons. A well designed video uploaded to YouTube can bring your business the traffic it deserves! YouTube has redefined the concept of brand promotion. Video designing for YouTube can help generate a great deal of awareness about a company, product or service. In fact, the benefits of uploading videos to YouTube are multifarious. Entices attention – A video is highly effective in capturing the attention of your audience. The fact is that the majority of people would prefer to watch a video than read. Who has the time and patience to read lengthy descriptions when the same can be viewed in a visually appealing, engaging manner online? Decreases Bounce Rate – The wavering attention span of Internet users is well known. If something doesn’t hold their attention, they are quick to move over to other items. A well designed video is likely to capture the attention of your audience. It almost immediately grabs their attention. Boosts credibility and brand image – A visually appealing well-designed video will definitely work to your advantage. It will keep your audience glued to say the least. It will help you forge long-term relationships with clients. Improved visibility in search engines – A video uploaded to YouTube and other video sharing websites is a fantastic way of boosting visibility in search engines. Video designing for YouTube has unarguably gained great prominence in recent times. After all, moving visual content garners more viewership than static content. We at Pulse Solutions have what it takes to optimize your videos to generate traffic to your business. We understand the importance of appropriate titles, descriptions, links and other elements to make your videos effective. We are well versed with online commerce and the role it plays it advancing businesses. Furthermore, our unsurpassed expertise in Flash enables us to create outstanding videos to help clients rank high in premier search engines. PubMatch is a case in point. 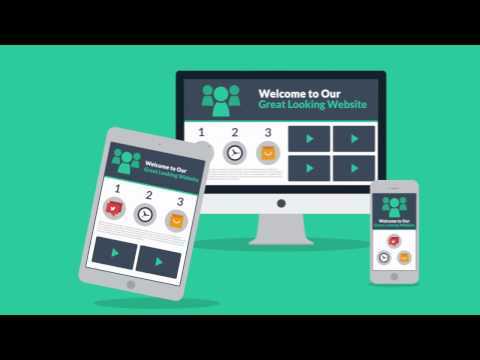 We created a visually appealing search engine friendly video for PubMatch to help them gain a stronger foothold in the industry. Besides designing flawlessly engaging videos, we can also help you with professional voice-overs. A skillfully executed voice over is an excellent way of conveying the exact message to your target audience.